The Elder Scrolls Online: Morrowind continues to rack in details to the Warden class, the latest of which was a series of highly versatile skill lines that players would see in Morrowind. These Warden's abilities can help you heal, defend, and do damage with your new character. You will be able to summon powerful creatures to provide aid and assault the enemy with Animal Companions of your Warden. If you're looking to harass your foes with screeching Cliff Racers via the Dive ability or sustain your attack with the help of the adorable Betty Netch, Animal Companions is for you. Command a Cliff Racer to dive bomb the enemy, dealing Magic Damage. • Cutting Dive - Command a Cliff Racer to dive bomb the enemy, dealing Physical Damage. Costs Stamina instead of Magicka. • Screaming Cliff Racer - Command a Cliff Racer to dive bomb the enemy, dealing Magic Damage. Deal up to 15% increased damage to enemies at longer range. Stir a group of Shalk that attack after 3 seconds. Dealing Magic Damage to up to 6 enemies in an area 20x7 meters in front of you. • Deep Fissure – Stir a group of Shalk that attack after 3 seconds. Dealing Magic Damage to up to 6 enemies in an area 20x7 meters in front of you. An eruption stuns one enemy for 3 seconds. • Subterranean Assault - Stir a group of Shalk that attack after 3 seconds. Dealing Poison Damage to up to 6 enemies in an area 20x7 meters in front of you. Enemies damaged are afflicted with Major Breach and Major Fracture, reducing their Spell Resistance and Physical Resistance for 10 seconds. Costs Stamina instead of Magicka. Unleash a swarm of Fetcherflies to relentlessly attack an enemy, dealing Magic Damage over 10 seconds. • Fletcher Infection – Unleash a swarm of Fetcherflies to relentlessly attack an enemy, dealing Magic Damage over 10 seconds. Every other cast deals 75% additional damage. • Growing Swarm – Unleash a swarm of Fetcherflies to relentlessly attack an enemy, dealing Magic Damage over 10 seconds. When ability ends, fetcherflies infect up to 6 new targets within 10 meters. Call a Betty Netch that restores Magicka over 22 seconds. Gain Major Sorcery, increasing Spell Damage by 20% over 24 seconds. This ability has no cost. • Blue Betty - Call a Betty Netch that restores Magicka over 25 seconds. Gain Major Sorcery, increasing Spell Damage by 20% over 27 seconds. When activated, removes 1 negative effect. This ability has no cost. • Bull Netch – Call a Bull Netch that restores Stamina over 25 seconds. Grants Major Brutality, increasing weapon damage by 20% over 27 seconds, and Major Sorcery, increasing Spell Damage by 20% over 27 seconds. This ability has no cost. Invoke the spirit of agility to gain Major Expedition, increasing movement speed by 30% for 10 seconds an Major Endurance, increasing stamina recovery by 20% for 10 seconds. • Bird of Prey - Invoke the spirit of agility to gain Major Expedition, increasing movement speed by 30% for 10 seconds an Major Endurance, increasing stamina recovery by 20% for 10 seconds. Gain minor Berserk, increasing damage done by 8% over 10 seconds. • Deceptive Predator - Invoke the spirit of agility to gain Major Expedition, increasing movement speed by 30% for 10 seconds an Major Endurance, increasing stamina recovery by 20% for 10 seconds. Gain Minor Evasion, increasing dodge chance by 5% for 10 seconds. Rouse a loyal grizzly to fight at your side. The grizzly's swipe deals Magic Damage. Once summoned, you can activate Guardian's Wrath for 75 ultimate. Causes Magic Damage and deals 100% additional damage to targets under 25% health. The grizzly's attacks do an additional 12% damage. • Wild Guardian - Rouse a loyal grizzly to fight at your side. The grizzly's swipe deals Physical Damage. Once summoned, you can activate Guardian's Savagery for 75 ultimate. Causes Physical Damage and deals 100% additional damage to targets under 25% health. The grizzly's attacks do an additional 21% damage. • Eternal Guardian - Rouse a loyal grizzly to fight at your side. The grizzly's swipe deals Magic Damage. When killed the bear will automatically respawn, with a cooldown of 1 minute. Once summoned, you can activate Guardian's Wrath for 75 ultimate. Causes Magic Damage and deals 100% additional damage to targets under 25% health. The grizzly's attacks do an additional 21% damage. When one of your animal companions is killed or unsummoned, you are restored Health. Damaging an enemy with an Animal Companions ability grants 4 Ultimate. This effect has a cooldown of 8 seconds. Increases your Magicka and Stamina recovery by 12% if an Animal Companions ability is slotted. Increases your damage of Animal Companions abilities by 2% for each Animal Companion ability slotted. With Green Balance, the nature-based class can obtain the healing and protective boons from nature. If you are interested in keeping all your teammates alive with the fast-blooming plants of the Healing Seed ability or helping your tank stand toe-to-toe with the enemy via Living Vines, the Green Balance is a perfect skill for you. Seed a large area of mushrooms that heals you and six allies in your frontal cone with a 20-meter radius and 60-degree angle. • Enchanted Growth – Seed a large area of mushrooms that heals you and six allies in your frontal cone with a 20-meter radius and 60-degree angle. Allies affected gain Minor Intellect and Minor Endurance, increasing Magicka and Stamina regeneration by 10% for 20 seconds. • Soothing Spores – Seed a large area of mushrooms that heals you and six allies in your frontal cone with a 20-meter radius and 60-degree angle. If healing an ally less than 8m away, it is 15% stronger. Ability Scales off max Stamina and Weapon Damage. Costs Stamina instead of Magicka. Summon a field of flowers which blooms after 6 seconds, healing 6 targets in the area with an 8-meter radius and 28-meter range. Only 1 field may be active at a time. Allies may activate the Healing Seed synergy to heal over 5 seconds. • Corrupting Pollen – Summon a field of flowers which blooms after 6 seconds, healing 6 targets in the area with an 8-meter radius and 28-meter range. Only 1 field may be active at a time. Afflict enemies who enter the field with Major Defile, reducing healing received by 37% for 4 seconds. Allies may activate the synergy to heal over 5 seconds. • Budding Seeds – Summon a field of flowers which blooms after 6 seconds, healing 6 targets in the area with an 8-meter radius and 28-meter range. Only 1 field may be active at a time. While the field grows, you can activate this ability to make the bloom instant. Allies may activate the synergy to heal over 5 seconds. Grow vines to embrace you or the lowest health ally in front of you within a 28x12-meter radius for 10 seconds. The vines heal the target each time they take damage. This effect can occur once every 1 second. • Leeching Vines – Grow vines to embrace you or the lowest health ally in front of you within a 28x12-meter radius for 10 seconds. The vines heal the target each time they take damage. This effect can occur once every 1 second. The vines apply Minor Lifesteal to enemies that damage the target for 10 seconds, healing you and your allies every 1 second when damaging that enemy. • Living Trellis – Grow vines to embrace you or the lowest health ally in front of you within a 28x12-meter radius for 10 seconds. The vines heal the target each time they take damage. This effect can occur once every 1 second. When the vines expire, they heal the target an additional amount. Embrace the lotus blessing, causing Light Attack to restore Health and your Heavy Attack to restore Health to you or a nearby ally within 12 meters for 17 seconds. • Green Lotus – Embrace the lotus blessing, causing Light Attack to restore Health and your Heavy Attack to restore Health to you or a nearby ally within 12 meters for 20 seconds. Caster gains Major Savagery, increasing Weapon Critical for 20 seconds. • Lotus Blossom – Embrace the lotus blessing, causing Light Attack to restore Health and your Heavy Attack to restore Health to you or a nearby ally within 12 meters for 20 seconds. Caster gains Major Prophecy, increasing Spell Critical for 20 seconds. Swing up to 22 meters to targeted ally, healing them over 10 seconds. • Nature's Embrace – Swing up to 22 meters to targeted ally, healing you and them over 10 seconds. • Bursting Vines – Swing up to 22 meters to targeted ally, instantly healing them. Instantly swell a healing forest around you or an ally within an 8-meter radius and 28 meter range, restoring health to 6 targets. The forest continues to heal you and all allies in the area every 1 second over 6 seconds. • Healing Thicket – Instantly swell a healing forest around you or an ally within an 8-meter radius and 28 meter range, restoring health to 6 targets. The forest continues to heal you and all allies in the area every 1 second over 6 seconds. When effect ends, allies continue to receive healing over 4 seconds. • Enchanted Forest – Instantly swell a healing forest around you or an ally within an 8-meter radius and 28 meter range, restoring health to 6 targets. The forest continues to heal you and all allies in the area every 1 second over 6 seconds. Gain 20 Ultimate if healing an ally under 50% Health. When healing you or an ally under 50% Health with a Green Balance ability gain Major Mending, increasing your healing done by 25% for 6 seconds. When healing with a Green Balance ability, gain Magicka or Stamina. Restores your lowest resource pool. Increase Healing Done for Green Balance abilities by 2% for each Green Balance ability slotted. When healing you or an ally with a Green Balance ability, grant them Minor Toughness, which increases Max Health by 10% for 20 seconds. The Winter's Embrace can be used by Warden to manipulate the cold then create defensive barriers and shields. 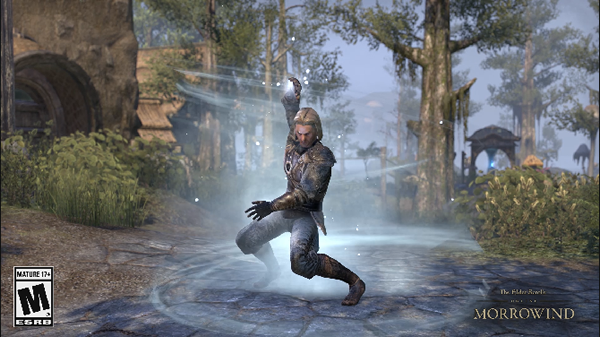 The skill line can not only helps you weather your enemies' blows with abilities such as Frost Cloak or Crystallized Shield, but also allows you to heal yourself via Arctic Wind. Wrap a thick cloak of ice around you and nearby allies within a 28-meter radius. 6 targets gain Major Resolve, increasing Physical Resistance, and Major Ward, increasing Spell Resistance for 21 seconds. • Expansive Frost Cloak – Wrap a thick cloak of ice around you and nearby allies within a 28-meter radius. 6 targets gain Major Resolve, increasing Physical Resistance, and Major Ward, increasing Spell Resistance for 24 seconds. Lower Magicka cost. • Ice Fortress – Wrap a thick cloak of ice around you and nearby allies within a 28-meter radius. 6 targets gain Major Resolve, increasing Physical Resistance, and Major Ward, increasing Spell Resistance for 24 seconds. You gain Minor Protection, reducing incoming damage by 8% for 24 seconds. Envelop yourself in winter winds, healing for 10% of max Health instantly and an additional 2% Health every 2 seconds over 10 seconds. • Polar Wind – Envelop yourself in winter winds, healing for 10% of max Health instantly and an additional 2% Health every 2 seconds over 10 seconds. Heals a nearby ally within 8 meters for 10% of your Max Health. • Arctic Blast – Envelop yourself in winter winds, healing for 10% of max Health instantly and an additional 2% Health every 2 seconds over 10 seconds. Enemies in the area will take Frost Damage every 2 seconds over 10 seconds. Skewer enemies with icy shards in a 6-meter radius, dealing Frost Damage in the area to 6 targets every second over 12 seconds and reducing Movement Speed by 30% for 3 seconds. Damage done is based on your Max Health. • Gripping Shards – Skewer enemies with icy shards in a 6-meter radius, dealing Frost Damage in the area to 6 targets every second over 12 seconds and reducing Movement Speed by 30% for 3 seconds. Damage done is based on your Max Health. On cast, enemies in the area also become immobilized for 3 seconds. • Winter's Revenge – Skewer enemies with icy shards in a 6-meter radius, dealing Frost Damage in an area within 28 meters to 6 targets every second over 12 seconds and reducing Movement Speed by 30% for 3 seconds. Damage done is based on your Max Health. Lower Magicka cost. Spin a shield of ice around you to absorb projectiles. Each absorb restores Magicka. Shield breaks after 3 projectiles. • Crystallized Slab – Spin a shield of ice around you to absorb projectiles. Each absorb restores Magicka. Shield breaks after 3 projectiles. On each successful absorption, a projectile is sent back to the enemy up to 28 meters away for Frost Damage. • Shimmering Shield – Spin a shield of ice around you to absorb projectiles. Each absorb restores Magicka. Shield breaks after 3 projectiles. On each successful absorb, you gain Major Heroism, increasing Ultimate gain by 3 every 1.5 seconds for 6 seconds. Summon an ancient portal up to 28 meters away with a 5-meter radius. Enemies that run over it are teleported to you and rooted for 3 seconds. You can only have 1 portal at a time and it is removed upon activation. • Frozen Device – Summon an ancient portal up to 28 meters away with a 5-meter radius.. Enemies that run over it are teleported to you and rooted for 3 seconds. You can only have 1 portal at a time and it is removed upon activation. Teleported enemy is afflicted with Major Maim, reducing their damage by 30% for 4 seconds. • Frozen Retreat – Summon an ancient portal up to 28 meters away with a 5-meter radius. Enemies that run over it are teleported to you and rooted for 2 seconds. You can only have 1 portal at a time and it is removed upon activation. An ally can activate the Frozen Retreat synergy to move to you. Twist a violent storm around you in a 10-meter radius, causing 6 targets to take Frost Damage every 1 second for 8 seconds and have their Movement Speed reduced by 70%. Nearby allies gain Major Protection, reducing incoming Damage by 30%. • Northern Storm – Twist a violent storm around you in a 10-meter radius, causing 6 targets to take Frost Damage every 1 second for 8 seconds and have their Movement Speed reduced by 70%. Nearby allies gain Major Protection, reducing incoming Damage by 30%. While slotted your Max Magicka is increased by 8%. • Permafrost – Twist a violent storm around you in a 10-meter radius, causing 6 targets to take Frost Damage every 1 second for 8 seconds and have their Movement Speed reduced by 70%. Nearby allies gain Major Protection, reducing incoming Damage by 30%. Enemies damaged 3 times are stunned for 3 seconds. Increase chance of applying Chilled to enemies with Winter's Embrace abilities by 200%. Increases your Physical and Spell Resistance by 500 for each Winter's Embrace ability slotted. Reduce the effectiveness of snares applied to you by 15%. Increases your Physical and Frost Damage by 6%. With these powerful skill lines, you can create almost all kinds of character you want. 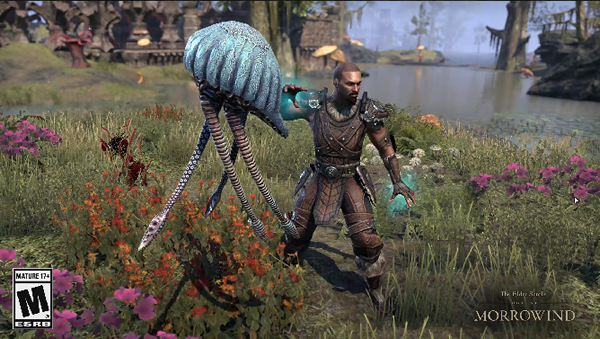 As the first new class of ESO will be available in Tamriel land on June 6, grab the features the Warden have will help you to adapt to the game more quickly.